The early years of childhood is an important journey to develop character and behaviour among the children. It is the core tenant in developing the learning path and will influence one’s upbringing for the future. That is why this principle of developing social behaviour is fundamental in the early childhood learning programmes at Smart Reader® Worldwide. As the frontrunner in the early childhood education field in Malaysia, with over 30 years of experience, the brand and its franchisees strive to enhance children’s character development through fun world class programmes and the best facilities available for learning. 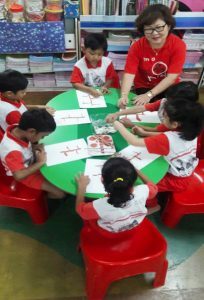 Through a comprehensive curriculum, the programme encourages positive enhancement within a creative and practical environment through emphasis on a holistic approach encompassing cognitive, physical and social development. Madam Doriawati, a franchisee of Smart Reader Kids® SS19, Subang Jaya said, “Through the Smart Reader Kids® programme, the full potential of children can be realised and is also visible with their high level of self-confidence”. The success of these programmes in developing good behaviour among its students stems from the Smart Reader Creative Teaching Methodology®, designed to instil creativity and excitement. With the ever-dedicated educators and supportive parents, the programme has produced countless success stories among its learners with recognition through presentation of multiple prestigious awards; all thanks to the brilliant and dedicated efforts of co-founder and creator, Datin Sri Dato’ Dr. KH Wang. Another franchisee from Smart Reader Kids Bandar Meru Raya, Ipoh, Madam Deviga A/P S Krisnan shared the amazement of parents over their children’s development of the passion to learn, as well as portrayal of good habits and manners. Plus, this enthusiasm is well suited with the inclusion of technology as part of a comprehensive learning process. This includes the latest innovative schooling system such as the Smart Kinder-Tech Programme where children are exposed to engaging and stimulating lessons through an interactive e-learning programme and the Smart Student Management System which allows parents to access all information regarding their child through the convenience of mobile application. 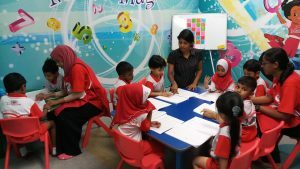 As Ms. Soo Ling from Smart Reader Kids® SS3, Petaling Jaya pointed, the programme has proven how it builds the child’s confidence, communications skills and social skills. It is no wonder that her centre’s new students are the siblings of previous or existing children enrolled in the programme. Professionally trained educators in developing and honing the students’ skills.